For some, the answer is obvious. For others, it’s not that easy. I personally think that it is a case-by-case decision, depending not only on you, but also on the client and on the specific project. Let’s try to analyse this sensitive issue. People usually believe that extra charges should apply for overtime hours, rush deliveries or complex jobs. I don’t think these concepts mean the same thing to each of us. Let’s explore these three points. I tend to consider that freelancers don’t really do “overtime hours”. They sometimes work more than they had planned or than they would like. But I always feel it’s a little bit strange to talk about “overtime hours” for professionals who are supposed to work “whenever they want”. That being said, should we consider that we are entering into the “extra working hours” area if we work over eight hours per day? In this case, what about the freelancers who decided to work six hours per day or ten? And what about working in the evening? Should this be considered overtime? When I was working as a freelance reviser, I occasionally enjoyed shopping during the day and checking translations in the evening. I never considered I was working overtime and I was happy to accept some interesting assignments arriving at the end of the day. I sometimes even enjoyed revising at night. Nevertheless, I wouldn’t do this any more and I might consider asking to be paid more if I had to be at my desk after 7 p.m.
We could probably say then that working hours could be charged more when they fall outside your own defined professional time frame. However, is this really linked to the client asking for the job? If the client is based in the same time zone as yours and requests a six-hour-job at 5 p.m., he could reasonably understand that you’ll have to work out of standard working time, and, therefore, agree to compensate you for this by paying you more. Now, what if you decide to travel, while continuing to translate, and receive a job at 5 p.m. local time while it’s still 10 a.m. for the client? They might not understand why you want to bill them more. Your additional working hours might not be linked to a specific client either. If you accept too many jobs from several requestors and end up needing to work 12 hours a day to deliver them all, should you consider charging some of those clients more? Probably not. Or maybe yes if you warned them that you were already overloaded. The same question occurs for weekends. Is it really normal to charge the same rates at the weekend? Most clients will agree to pay more if they send a request on a Friday evening asking for delivery the next Monday morning. However, if you decide to work at the weekend so you can enjoy some days off during the week, or to compensate you for lack of work the month before, you shouldn’t charge your client more. Some freelancers might even inform their clients that they don’t work on Mondays and Tuesdays but are generally available at weekends, so Saturdays and Sundays are considered as “normal” working days. You’ll also have to take another decision. If extra charges can be applied, how much more will you charge? 10% more? Or 50%? Perhaps even 100% more? Will it be the same increase across the board or will it be higher for non-regular clients? Would you charge more regardless of project volume? Will the surcharge apply only to one part of the project? Many factors can influence your decision. What is a rush delivery? Whether a deadline is tight or not depends on your perspective. Personally, I would consider a request to deliver a translation of 250 new words within one hour a rush assignment. Having to deliver the same job within one day would be just fine, however. But of course, sending back a translation of 2,500 words eight hours exactly after the initial request might also be regarded as an urgent job. The overall schedule should also be looked at when the volume is quite large. For instance, it might be acceptable to handle 12,500 new words in five days, but it will definitely turn into a rush job if you have to deliver the same volume within four, or worse, three days. Especially if it all has to be checked by a reviser within the same time frame. The only solution might then be to ask a second translator for help. Should all those cases entail extra charges? Probably. Or maybe not always. If you are fully available and happy to get some work, you might decide to keep your regular rates. On the contrary, if you have to stop working on some jobs to take on those new ones, or to work quicker to squeeze them in, not even to mention paying someone to help you, you might use rush rates. The same question arises again. How much more? Is it reasonable to charge an extra 25% for translating 2,500 words within the day without any client pre-announcement? Would you charge 100% more if you have to put everything on hold and jump on 250 urgent words to be delivered asap? Once again, all this will be a case-by-case decision, and for the same client, you might apply 50% more to a project once and drop rush fees one month later for the same request. What is a complex job? For some translators, dealing with software interface localisation is very complex. For others, it’s a lot of fun. If I had to translate medical texts, I would find this highly complex, while I really enjoy working on marketing texts in the IT sector. Obviously, the complexity of a job might depend on our own experience. Does this mean we can charge more when we are not used to a sector? Probably not. Experience in a certain domain can be acquired, but the clients should not be the ones paying for this, except if they really insist on hiring you for the job. The format complexity of some jobs might justify higher rates. For instance, translating application strings means working out of context, most of the time using specific software or finding your way in files full of codes, which takes more time than translating complete sentences in a simple document. It’s therefore logical to charge more, either raising your word rate or adding an extra percentage to the final job price. This would also be true for some projects with specific requirements, like limiting the length of the target sentences, adapting keyword lists for websites, respecting time codes for video scripts, etc. Extra charges could indeed cover the additional effort involved in complying with these specifications. Some freelancers prefer to avoid extra charges for their regular clients. Or when approached by new clients with a high potential. Sometimes, for tiny rush jobs, they might even offer their services as a favour for a client contact who is really desperate. On the contrary, others will charge more whoever the client is, maybe hoping that they will drop the request. They might simply hate working fast. Or they don’t want to let their clients get into the habit of always asking for rush jobs. They might also consider that some project requests are too risky in terms of quality, which could then jeopardize their reputation. As a matter of fact, there is no universal rule. Everyone will determine whether to apply extra charges to their translation jobs and how much to request. Whatever works for you, my only advice would be to make it clear to your clients from the beginning of the relationship. Don’t hesitate to include a section on extra charges in your price grid or contract. Make sure you state what you mean by overtime hours, how you define urgent deliveries and which additional percentage(s) will apply. Also include your range of rates for various kinds of project, adding some explanations if needed. And who knows? Maybe your clients will understand your priorities and hopefully they will try to avoid requesting “urgent” translations at the last minute. 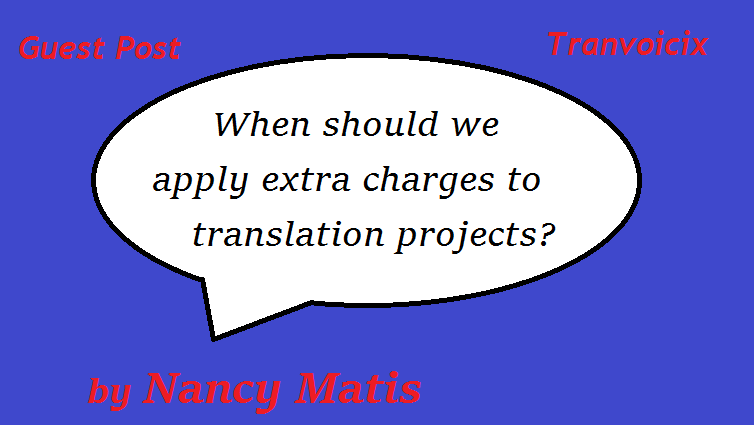 Nancy Matis is the author of the book How to manage your translation projects, originally published in French and translated by her partner company in the UK. 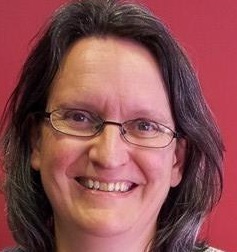 Nancy has been involved in the translation business for around 20 years, working as a translator, reviser, technical specialist, project manager and teacher, among other roles. She currently manages her own company based in Belgium, specialising in localisation, translation project management, consulting and training. She teaches at numerous universities across Europe and has published several articles about translation project management. During these past few years, she has also been involved in some European projects, designing and evaluating training materials for future translators and project managers. Nancy and I are pleased to announce that this guest post won the “blog post” category in the 2016 Proz.com Community Choice Awards. Many thanks to everyone for voting! Hello Nikky, I agree with all your points … but why did you not mention formatting as a reason for extra charge? Formatting can take up a lot of time when translating administrative documents with lots of figures so one ends up spending a lot of time compared to the word count. What is your view on that please and how would you quantify it, per page or a percentage? Thank you for your comments :-). Actually, I included this in the last part, regarding complex jobs. On my side, I have price grids, where on one side, I list all rates linked to linguistic tasks, and on the other I indicate my rates for technical tasks, like formatting. I personally do not consider formatting as an extra charge, rather as a normal charge for a task that has to take place for some jobs. For instance, a quote might include 200 EUR for translation + revision and 75 EUR for desktop publishing. In my grid, for instance, for PPT files, I have a rate per slide, for Indesign, a rate per page, for Photoshop, a rate per Illustration, etc. But again, this is for the technical work only. Translation and revision of the content are apart. In your case, if you deal with very complex PPT files and are not paid for the formatting, I think you could add a certain %age in order to compensate the extra time needed whenever those are too complex. It would be great to measure the extra effort – does it take 20% more time? -> then, if possible, add an extra 20% to your quotation for this specific job or to your word rate if the complexity of those jobs is always the same. Regarding big tables with lots of figures, if those are not included at all in the word count, I think you could invoice the time needed to check those. Let me know if I’ve answered your questions :-). Hi Christine, thanks for your comment. As Nancy mentioned, it’s up to you whether you add a percentage or charge more per word for fiddly formatting work. I generally try to charge more per word, although not every agency I have worked for is happy to pay more for PowerPoint/PDF/etc. I don’t enjoy the extra work involved in formatting documents, so I tend to avoid PP and PDF as much as possible and only do such jobs if I feel the compensation is appropriate. Just in case, here is an example of quotation, including layout work. This example is for a translation agency, but it could also apply to freelancers. As you can see in the proposed solution, DTP and illustration costs are apart. Don’t hesitate if you have any other question ;-). Hi Nikki and Nancy, thanks for the article. Much of the above applies for agency clients. For direct clients, however, in my view we should be charging a) per project and b) based on the value we create. If a client desperately needs a quick translation to get them out of a hole, then the translation is worth more to them, and they will gladly pay more. If we have spent years acquiring deep expertise in a field so that we can do a given translation in half the time, then the client should pay more, not less. It is up to us to negotiate effectively in order to gain the rewards we seek. Seth Godin gives the example of a professor who charged $80,000 for a few minutes’ consultancy work, which the client was delighted to pay, because his solution saved them tens of millions. Thank you very much for your comments :-). Well, on my side, I apply all this to my direct clients. I provide them with rate grids so that they can have an idea of the final price for their projects. Whenever they order a new translation, I communicate them the exact price for the project, but it’s always based on rates per word, page, illustration, including extra charges when applicable. I also definitely agree that experience should be rewarded. Working fast can’t mean being paid less, on the contrary. Hi Oliver, thanks for your comments (which I somehow seem to have missed seeing until today). I fully agree that we should be charging per project. 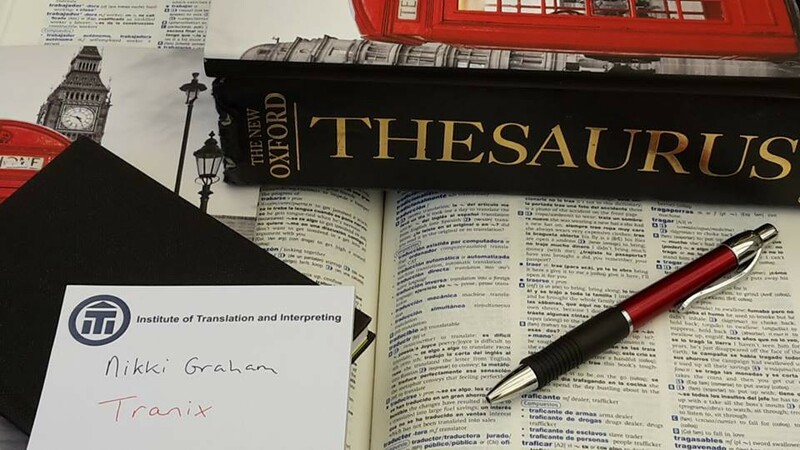 In fact, ideally, all our translation work should shift towards that model, even for agency clients, because, as we all know, “just a few words” can sometimes take ages to render properly into another language and even our usual minimum charge might not represent enough return for the effort put in. Thank you for the great article! I totally agree with you, especially on the last point of translating strings or work around tags. I didn’t use to charge more for those, but not so long ago I had a situation with a regular client who sends me small projects here and there, which I charge per word for and that is fine. However, one time he sent a project of only a few hundred words in strings, but the sentences were littered with placeholders. The thing is, those are really difficult to get right, especially in a language like German, which I work into. The grammar gets really complex and without knowing what context those strings will be used in, it is nearly impossible to get a correct translation. Even though they had placeholders in several grammatical cases, it took a lot of time to go back and forth to put the right “case” into the placeholder, checking that really it is correct and reads well. Therefore, I found myself spending much longer translating those strings for this client and got really frustrated when I noticed just how much more time it took in the end. That’s when I decided I will most definitely charge more for those kinds of assignments. I guess it would be difficult to do with this client, but any new one with this type of work has to pay more. For “straight forward” translations I do charge a per word rate that I make into a per project quote, depending on an estimate on how much time I will actually spend to finish it to my satisfaction. Indeed, nowadays we receive so many projects with tags… Instead of working in the original format and in order to use CAT tools, translators have to play more and more with formatting tags. This might make their task quite difficult but also lead to issues after Desktop Publishing. When talking about documentation projects, I think it’s therefore needed to add a LSO (Linguistic Sign-Off) step for some of them: after DTP, the final PDF is sent to the translation team which can check the final text after layout work, without all those tags. It’s part of the translation project, but it’s not part of the pure translation task, so I consider this LSO should be paid as an extra task, most of the time per hour. As for software strings, it definitely takes more time to translate them and I usually charge between 30 and 50% more to the client and pay the teams accordingly. This is for the linguistic steps. If there are some tasks afterwards, like checking the resulting screens or testing the final software in the target language, it should be considered as an extra step, paid per hour. After reading it, I am wondering what would you do in the following situation, would you apply extra charges (by the hour, for instance)? Yo translate, self edit the job, do all required QA controls, send necessary queries and finally deliver the job. Some days after that you receive feedback for your translation and are required to analyse it. By analyse I mean going in detail through every change and every reviewer’s comment and then adding your own comment or justification for your choice. Ah, and you have to deliver your comments before a certain date and time. What would you do if most changes and comments are due to preferential changes? What would you do if some changes do improve the original translation? Would you charge extra time for this or would you consider it as part of the “translator’s tasks”. Personally, I do not consider this is included in my translation fee. I look forward to your replies! Thank you! The few times this has happened, I have never charged extra for this task. I think at some stage you’re bound to find yourself in a situation in which the reviser has been overzealous but also made improvements, which can add fuel to their fire. If there are changes that improve your work, I would acknowledge this fact, because honesty is the best policy. But also make sure the client realises that not every change is a mistake. And there’s no point arguing your corner if you’ve actually made an error. Apologise and try to move on, even if that means losing the client. In general, I wouldn’t work with a client that is going to question your every word choice. Just as in our personal lives, I believe you can gel more with some clients/agencies than others. And it’s so much more pleasant to be with people who work with you to achieve a common goal of a good translation than who try to pick holes to potentially penalise you and, therefore, pay you less. Thank you for your nice comment and for your questions. This is a difficult case and I agree with Nikki’s comments. It’s always hard to charge more for a task when it’s not been clearly specified since the beginning of the project. I can’t remember having faced any situation where the client asked us to comment the reviewer’s changes but sometimes, our end clients’ reviewers change a lot in the translated files. As we don’t master all the target languages we manage, we sometimes ask the translation teams to check the requested changes and to report us if they are real mistakes or preferential ones. In general, most are preferential changes and we might decide to send the report to the client (making sure the comments are nice ones). After having done this once or twice, the clients’ reviewers usually stop inserting a lot of changes in the files. Of course, on our side, it is not possible to ask the client to pay for this task since making the reports is our decision. But I consider it’s normal to pay the teams having spent time on that, especially if I’ve worked with the teams for long, if the changes are preferential ones and/or if I have to ask this for several jobs. I’m not sure I would insert a line covering this type of task in a price grid. But if an end client asked us to produce such a report, I would probably do it once for free. However, when sending the report, I would kindly explain that this task took us 5 hours and that, as the client can see, 95% of the changes were preferential and the original translation was actually correct. I would add that we would be happy to do this type of task again in the future, but that, as the client will certainly understand, such reports take time and would, therefore, need to be financially compensated. Now, your decision might also depend on various factors. Who asked for this? An end client or a translation project manager who wanted to know why there are so many changes in the files after the client’s review? Is this client a regular one? Does he usually send you big volumes? Were there some “real” mistakes? Of course, as you mention, if some changes really improve the original translation, it’s more problematic. However, the evaluation of translation quality is sometimes very subjective. Their corrections might help you improve your translations. But if they are simple adjustments, I’m not sure you should be required to justify your own choices. I feel that answering a few questions is part of our job. Checking what clients change too, especially in order to follow their preferences during future translation projects. Justifying every single choice is a different task. In some Institutions, translators have to do that for specific documents. But then, it’s included in their daily tasks… and they are paid for it ;-). LOL. That’s a strategy :-). Hii i agree with all your points and i want to appreciate you for your blog. Keep sharing such a wonderful blog with us.